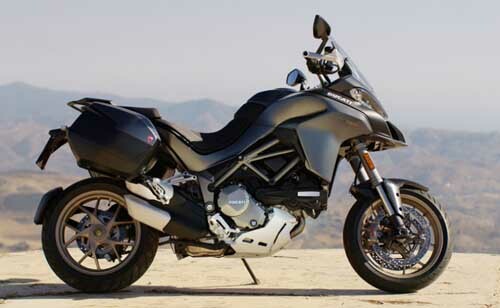 Ducati will launch the new Ducati Multistrad 1260 in India this June. Ducati Multistrada 1260 will own larger engines, more technology and more advanced features and will replace the Multistrada 1200. 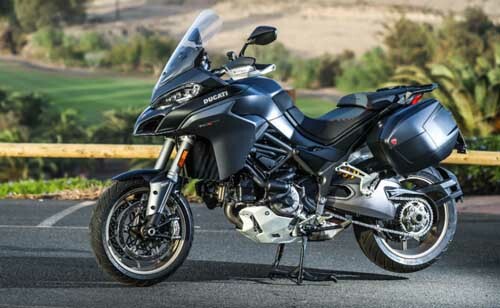 Although no official launch date, Carandbike revealed that the new Multistrada 1260 will definitely be available in India before the month ends. The Ducati Multistrada 1260 is powered by the Ducati XDiavel’s Testastretta DVT 1,262 cc engine, a new chassis and advanced electronics. With the new engine, the Multistrada 1260 is expected to provide torque over a wider range, with 85% of the maximum torque achievable at just 3,500 rpm. The new Multistrada 1260 is available in four variants – Multistrada 1260, Multistrada 1260 S, Multistrada 1260 S D-Air and Multistrada 1260 Pikes Peak. The 1,262 cc engine produces 158 horsepower and 129.5 Nm of torque, along with a range of electronic driver assistance systems, including anti-lock braking ABS, cornering, Ducati Traction Control, Ducati Wheelie Control, Ducati Skyhook Suspension, Cruise Control, and Cruise Control technology both in and out of the system. Ducati multimedia, TFT color screen, turn signal and many other technologies. There is no official confirmation of the Ducati Multistrada 1260, which is expected to start at around Rs 1.6 crore (VND 541 million = 20,000 USD ). All versions of the Multistrada 1260 still use 17-inch wheels with Pirelli Scorpion Trail tires 120/70/17 front and 190/55/17 rear.